Chairmen of CPN-UML and CPN-Maoist Centre, KP Sharma Oli and Pushpa Kamal Dahal respectively, after a meeting between them, on Wednesday, May 16, 2018. Leaders of CPN-UML and the CPN-Maoist Centre say they may announce the unification of their parties on Thursday. The UML is celebrating Madan Bhandari Memorial Day on Thursday and the Maoist Centre leaders have also been invited to the function. A source in the Maoist party says if everything goes as planned, the unification will also be announced tomorrow itself. If possible, the unified Communist Party of Nepal will apply for its registration with the Election Commission tomorrow itself. 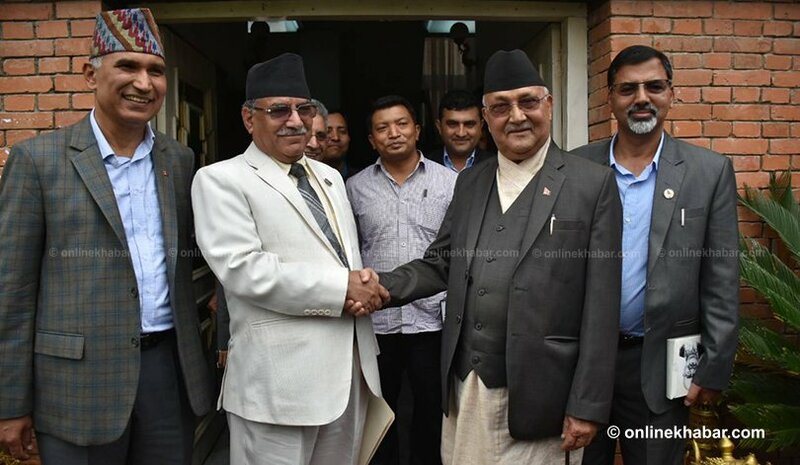 Ruling coalition partners–CPN-UML and CPN-Maoist Centre–say they have finally agreed to announce the unification of their parties, giving a successful end to their seven-months effort. 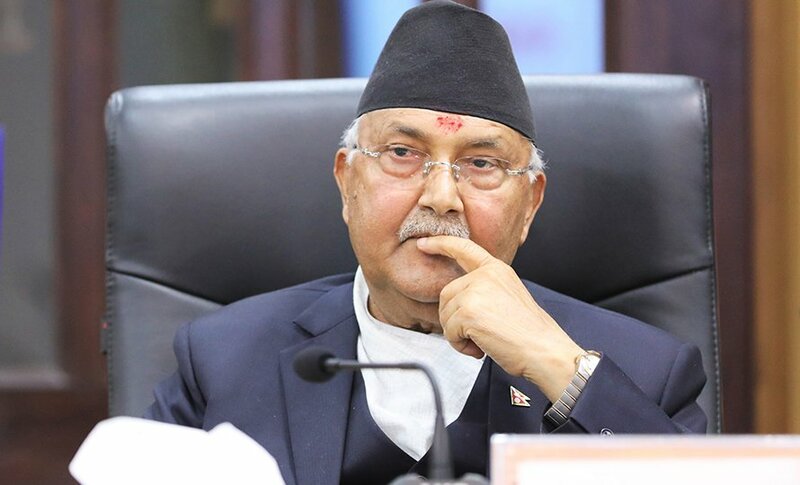 Top leaders of the parties including their chairpersons, KP Sharma Oli and Pushpa Kamal Dahal, agreed to announce the merger at the earliest following a meeting between the duo today, according to UML Deputy General Secretary Bishnu Paudel. 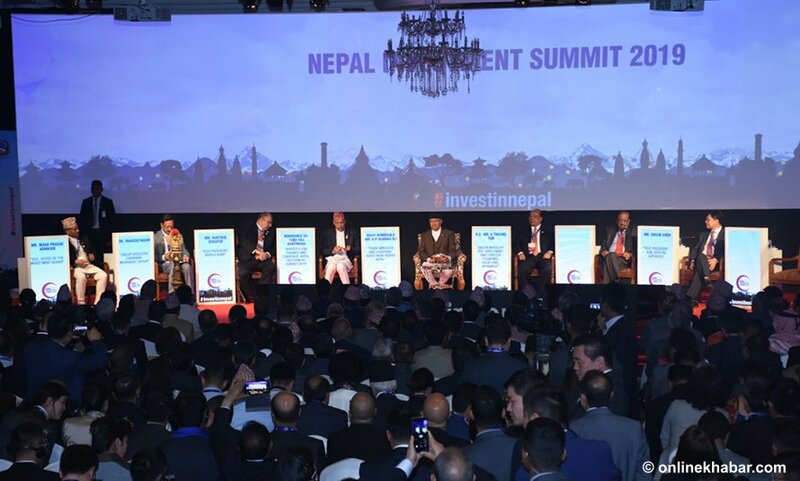 Paudel claims the announcement is likely on May 20 as the two parties have agreed to formalise the unification before the announcement of government’s annual policy and programme. 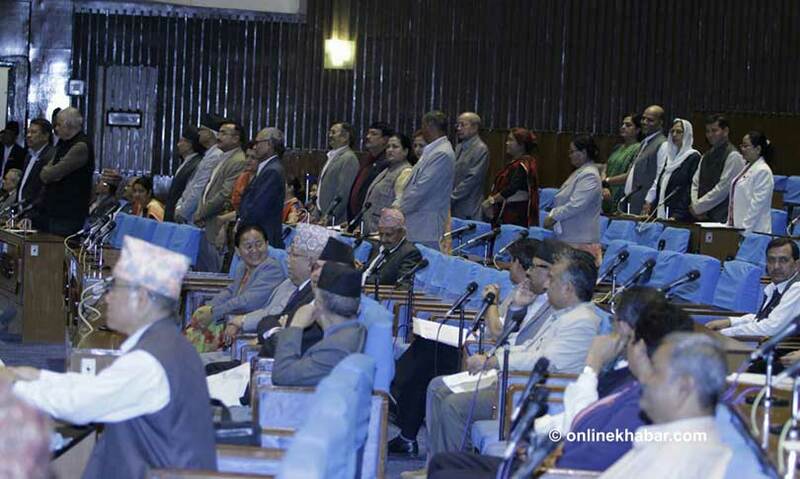 President Bidya Devi Bhandari is scheduled to present the government’s policy at the joint meeting of two houses on May 21. The meeting of top leaders today has already called the meeting of Party Unification Coordination Committee to endorse their decisions for tomorrow. The UML has also called the party’s Central Committee meeting tomorrow. The Maoist Centre is also busy with internal discussions.